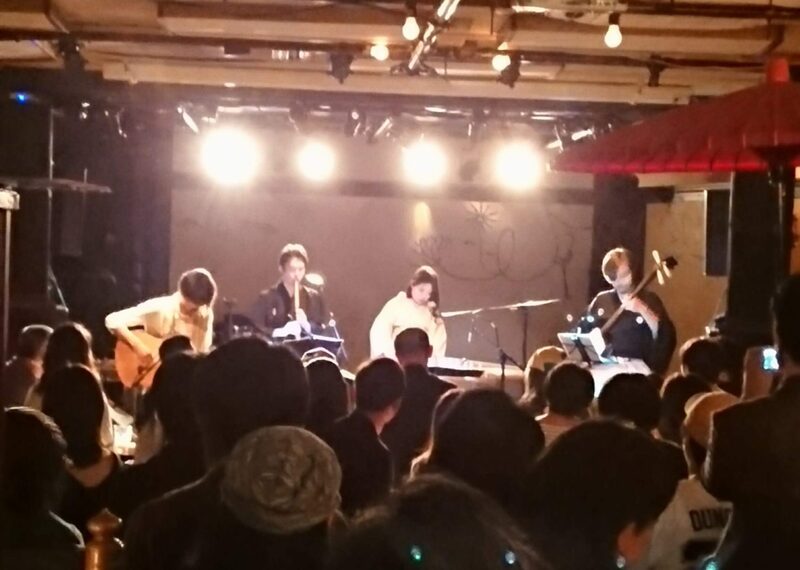 On May 15, a concert celebrating the release of a new album of Japanese guitar player Yukihiro Atsumi’s “Hogaku 2.0 Kenkyukai” project took place at a live music venue in Daikanyama. 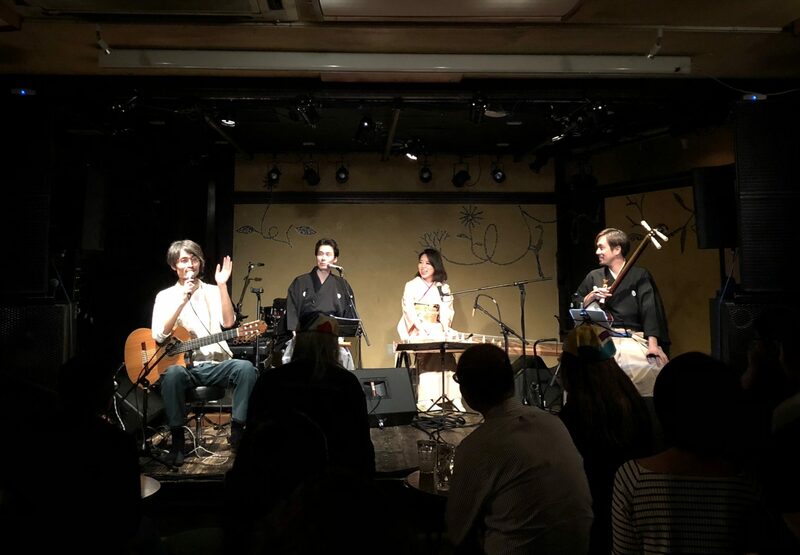 Based on the concept of “connecting traditional and contemporary Japanese music through the guitar,” the Kenkyukai’s unique performance attracted a capacity audience. Alongside Ko Kakinokihara (koto), Akihito Obama (shakuhachi) and Yutaka Oyama (Tsugaru-shamisen) – top performers of traditional Japanese music that associate themselves with Atsumi and his passion – Atsumi presented a selection of well-known pieces from different genres of traditional Japanese music, arranged to highlight the respective individual flavors to the full. As a result, the entire venue of this memorable concert was swathed in a healing sort of energy. When he launched this project, Atsumi decided to take up residence in Kyoto, and eventually moved into a 130-year-old house. Seeking harmony with nature, he imposed on himself the task of grasping the origins of traditional Japanese music with his own body, and continues to explore “the sound of the Japanese guitar” as a guitar sound that emerged from within the native musical spirit of Japan. “Collaboration” is a term that has long been established, and while superficial coupling of different artistic genres, or cases of certain genres taking over others, are especially prominent forms, Atsumi’s collaborative work is a rare example of paying tribute to classical and historical material. 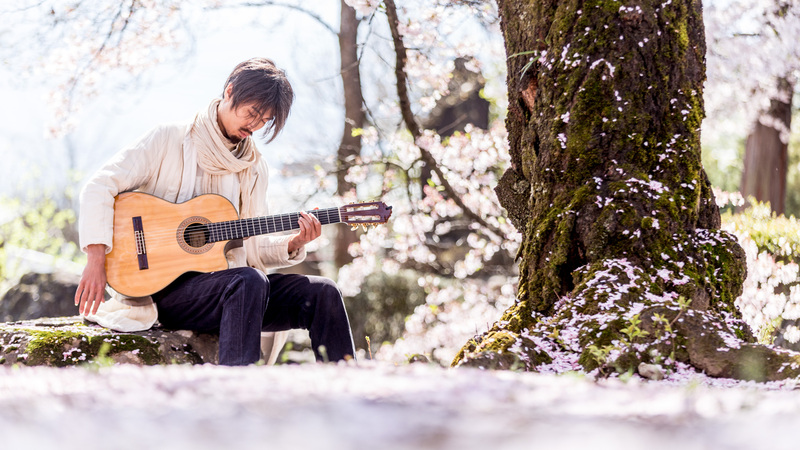 His rendition of the folk song “Shin-Musume Dojoji,” for example, starts with a koto just like in the original, but somewhere along the way guitar sounds blend in, and koto and guitar mingle like wind and water. Without spoiling the original song, Atsumi created a totally new “Dojoji” with his piece. I’d like to think of this as a work that he accomplished for a future world. An artist with such innovative spirit must be facing quite a lot of headwind. In this day and age, I feel that establishing and nurturing relationships with people with traditional occupations from outside the realm of traditional performing arts is a truly extraordinary feat. The person we’re talking about here, however, walks with incredibly light footsteps, and with his playful mind intact enough to enjoy all of his journey. 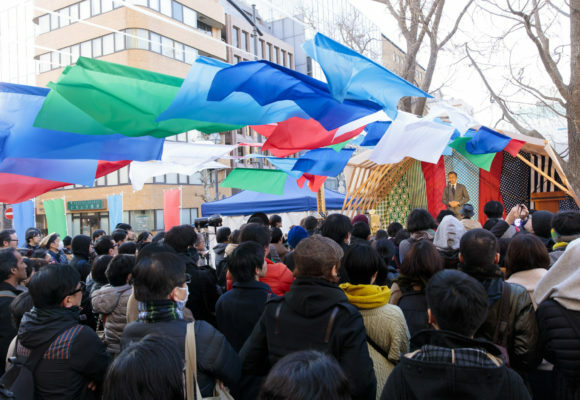 In his genre-crossing activities with the likes of Conguero Tres Hoofers, who appeared at Fuji Rock and other music festivals, and Saikoh Visions, a duo with bassist Kitaro Nakamura playing music for everyone from little children to grown-ups, Atsumi is like a migratory bird – or better still, a mystery bird with a guitar. With the 2020 Summer Olympics in Tokyo approaching, I often hear people talk about “legacy,” and I ask myself what kind of legacy we Japanese may be able to create through art and culture, and leave behind for future generations. I think I’m going to apply myself closely to the times I live in, and occasionally cloak myself in the sound of the ”Hogaku 2.0 Kenkyukai” while watching guitarist Yukihiro Atsumi’s music arts as he continues to travel around from his base in Kyoto. Tamatsuka Mitsuru was born in Tokyo, Japan. 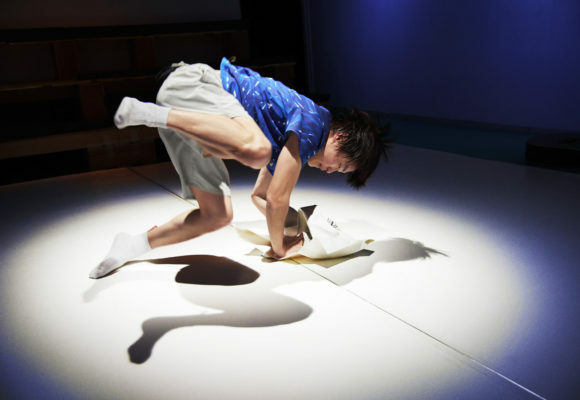 Following his work as Producer for “Dentōgeinō no wakaki shishitachi” (The Young Lions of Traditional Arts), he directed the short film “Firewater” in New York, and worked as movement coach for the hanamichi runway in the Bessie award-winning contemporary dancer’s work, “A Page Out of Order: M,” and continued to act as a conduit for numerous and various international artistic collaborations. 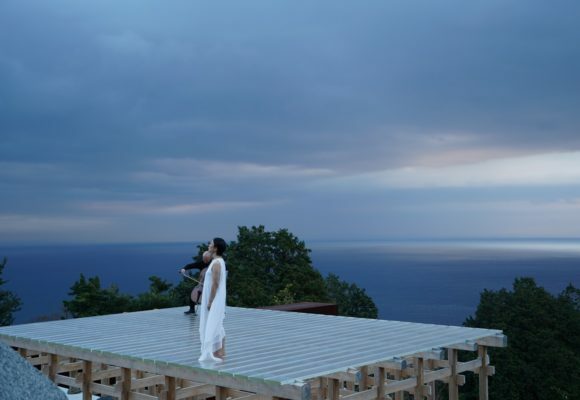 Through the collaborative production team Sagi Tama, launched in 2013, as well as his own company Tama Pro, launched in 2016, Tamatsuka continues to develop his practice of combining performance and film.